I`ve previously got a bunch of interesting photos from Knut, pics from the Levanger area in Trøndelag. Knut have recently sent me some cool photos from his own family albums. 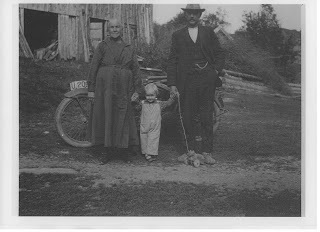 These pics are taken in 1931, showing his uncle Lars Ustads Harley and some of his close relatives. First pic out is Lars on his Harley at local country roads near his home in Orkdal - South Trøndelag (mid Norway). I love Lars`s biker look, his cap turned backwards to take "high" speed and motorcycle googles to keep dirt and flies out of his eyes. 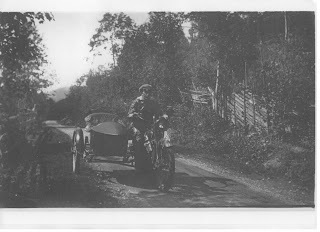 His Harley, an early twenties model F magneto model with acetylene lights roundbout. Bike seems to be well maintained, its cellulose paint shining glossy in the sun. To protect the sidecars leather upholstry Lars have added a dust gown, he obviously cared for his transport. Second pic is taken in front of Lars`s parents farmhouse, Smiplassen wich no longer exist. A destiny shared by many other farms in Norway trough the last century. 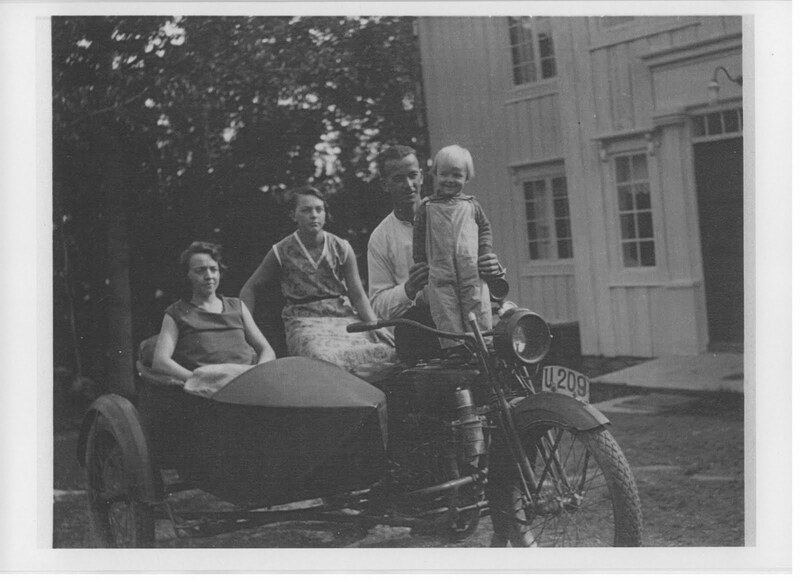 In the sidecar is Gjertrud, on the pillion pad is Mille, to become Knuts mother, then Lars and standing on the fueltank is young Marta who is still around at god health, age 82 years young. According to Knut still milking her own cows at the farm where she is living. 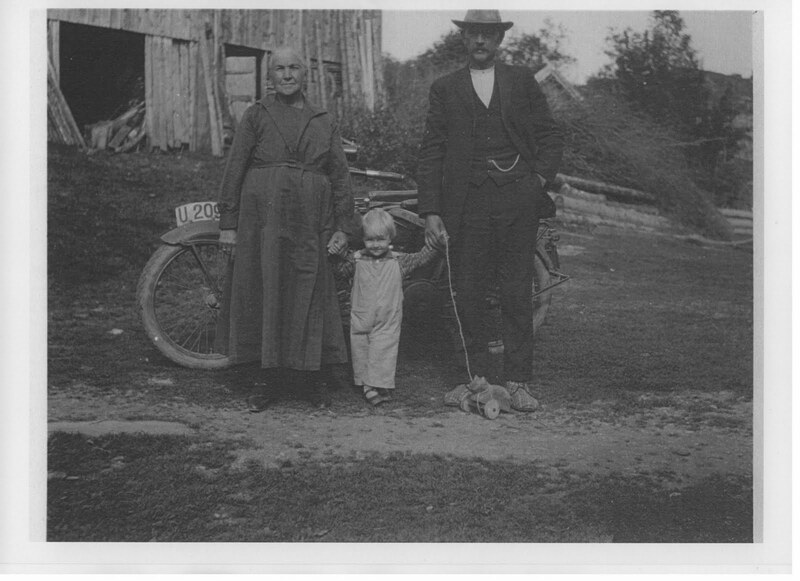 The last pic is young Marta and Knuts Grand-Grand parents Lava and Ingebrigt. I love Martas toy horse. Home made, missing its two rear wheels but still her pride and joy. What would such a toy be for kids of today?